my work is having a drive for goods and supplies for a local domestic violence shelter. their need includes art supplies. I had a box of acrylic yarn that I took in and today I stopped Michael’s to pick up some more stuff. I got some yarn (it was on sale!! 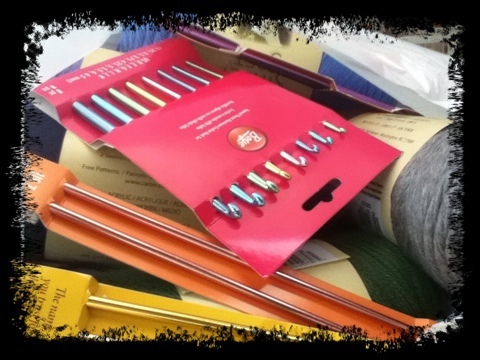 ), crochet hooks, couple sets of straight needles and a set of double pointed needles. Me? I’m still working on the bunny… It has a head, 2 ears, a body, 2 arms and one leg. Not much hopping goin’ on around here yet. Pia on rainbow yarn finished!!! Nic on rainbow yarn finished!!! Corrie on rainbow yarn finished!! !